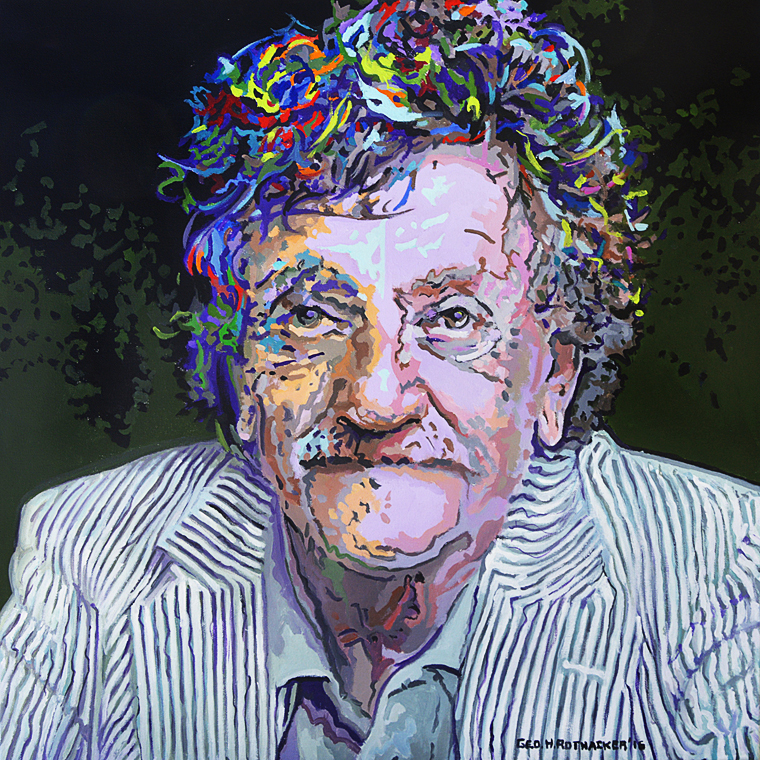 Kurt Vonnegut by George H. Rothacker - acrylic on canvas - 24" x 24" - Original painting $2400, prints @$90 each plus tax and shipping (Prints are an edition of 50, signed, titled and numbered with an image area of 13"x 13"). In a career spanning over 50 years, Vonnegut published fourteen novels, three short story collections, five plays, and five works of non-fiction. He is most famous for his darkly satirical, best-selling novel Slaughterhouse-Five (1969). Vonnegut published his first novel, Player Piano, in 1952. The novel was reviewed positively, but was not commercially successful. In the nearly twenty years that followed, Vonnegut published several novels that were only marginally successful, such as Cat's Cradle (1963) and God Bless You, Mr. Rosewater (1964). The first book I found of Vonnegut's was a paperback version of Sirens of Titan (1959), a sci-fi (sort-of) that featured a Martian invasion of Earth as experienced by a bored billionaire who meets an aristocratic space traveler, who is stuck in a time warp that allows him to appear on Earth every 59 days. 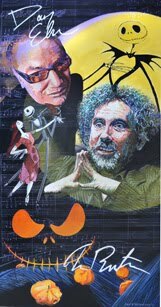 The book was bizarre, but fascinating…and then I found my way to Cat's Cradle and and all of his other works. I was most fascinated by his personal take on the human condition, war and other plots and sub-plots that finally gained meaning after the publication of his breakout success, Slaughterhouse Five (1969), a semi-autobiographical novel about the bombing of Dresden during World War II. With the antiwar movement in full swing, Vonnegut and his former writings were reevaluated and he rocketed to stardom at the age of 47. After his death in 2007, Dinitia Smith of the New York Times remarked, "Like Mark Twain, Mr. Vonnegut used humor to tackle the basic questions of human existence: Why are we in this world? Is there a presiding figure to make sense of all this, a god who in the end, despite making people suffer, wishes them well?" Though his books are broadly viewed as existential farces and modernist in style, the Science Fiction and Fantasy Hall of Fame inducted Vonnegut posthumously in 2015.Vonnegut once remarked that he would not be displeased at being relegated to the drawer marked "science fiction" if critics didn't continue to mistake it for a urinal.